The average cost of memory care in Stillwater is $4,450 per month. This is lower than the national median of $4,650. Caring.com has helped thousands of families find high-quality senior care. To speak with one of our Family Advisors about memory care options and costs in Stillwater, call (855) 863-8283. Although senior citizens represent less than 9 percent of Stillwater's 50,000 residents, Alzheimer's disease and dementia are a growing concern in Oklahoma. Approximately 64,000 adults in the Sooner State are living with age-related cognitive impairments, and this number is expected to increase by 18 percent in the coming years. Stillwater is home to one memory care facility but there are three dozen more in nearby Edmond, Oklahoma City and Norman. Even though Stillwater is the 10th largest city in Oklahoma, the cost of living is 10 percent — lower than most U.S. cities. Healthcare is subject to the largest premiums. Medical services are 11 percent more expensive than the rest of the nation, although prices are slightly lower than state average. The community's low cost of living may reduce the cost of memory care and similar services. The Stillwater area has few facilities from which to choose in the event of a medical emergency or illness, apart from the Stillwater Medical Center and the VA Clinic. The nearest major hospitals specializing in brain health and dementia care are located in Oklahoma City. While Stillwater has a slightly lower comfort score compared to the U.S. average, the region receives plenty of sunshine and slightly less rain. As part of tornado alley, Stillwater also experiences some violent storms. For safety reasons, relatives may wish to determine whether the memory care facility they're considering has a suitable storm shelter or evacuation plan. The quality of life in Stillwater is enhanced by the city's low crime rate. The community is significantly safer than the surrounding metropolitan area. There are very few violent crimes, and the number of property offenses is close to the national average. Additionally, memory care facilities typically have secured units that protect residents from potential threats. Memory Care costs in Stillwater start around $4,450 per month on average, while the nationwide average cost of memory care is $4,781 per month. It’s important to note that memory care rates in Stillwater and the surrounding suburbs can vary widely based on factors such as location, the level of care needed, apartment size and the types of amenities offered at each community. 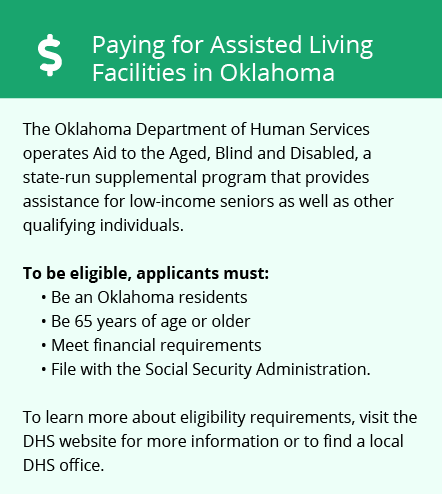 Stillwater and the surrounding area are home to numerous government agencies and non-profit organizations offering help for seniors searching for or currently residing in an assisted living community. These organizations can also provide assistance in a number of other eldercare services such as geriatric care management, elder law advice, estate planning, finding home care and health and wellness programs. To see a list of free memory care resources in Stillwater, please visit our Assisted Living in Oklahoma page. 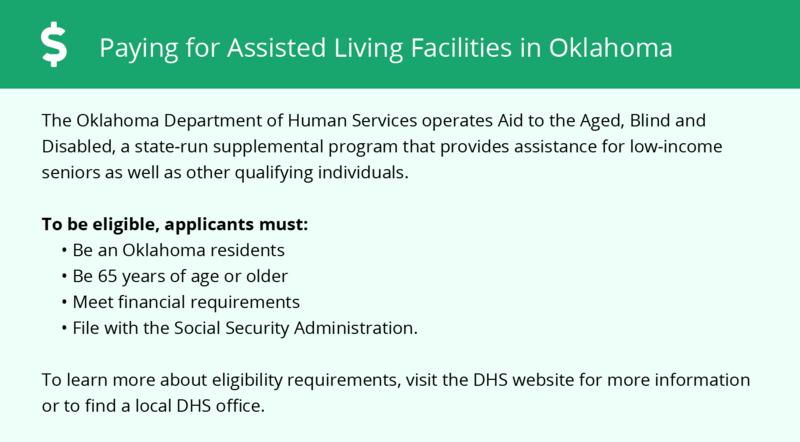 Stillwater-area assisted living communities must adhere to the comprehensive set of state laws and regulations that all assisted living communities in Oklahoma are required to follow. Visit our Memory Care in Oklahoma page for more information about these laws.